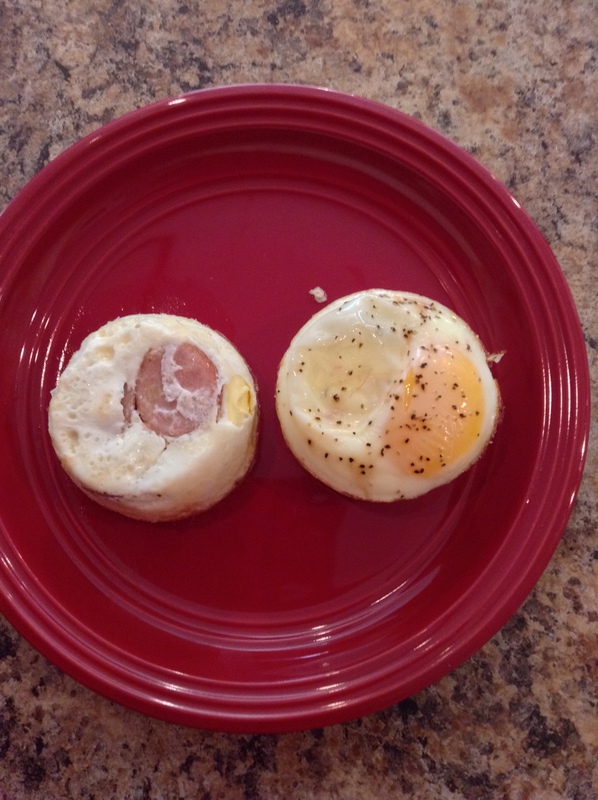 CHICKEN SAUSAGE EGG MUFFINS – The Sugar-Free Healthy Life! I saw a version of these on Facebook and decided to give them a whirl using some different ingredients. The great thing is, as long as you keep the egg, you can make these with anything you like. 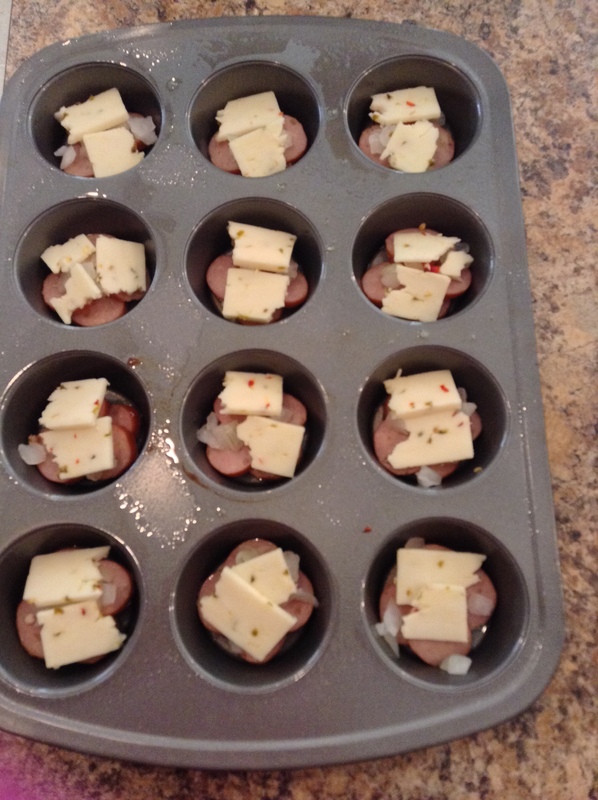 The basics to know- use a protein as the base, then pick a cheese you like and some veggies, and then the egg. 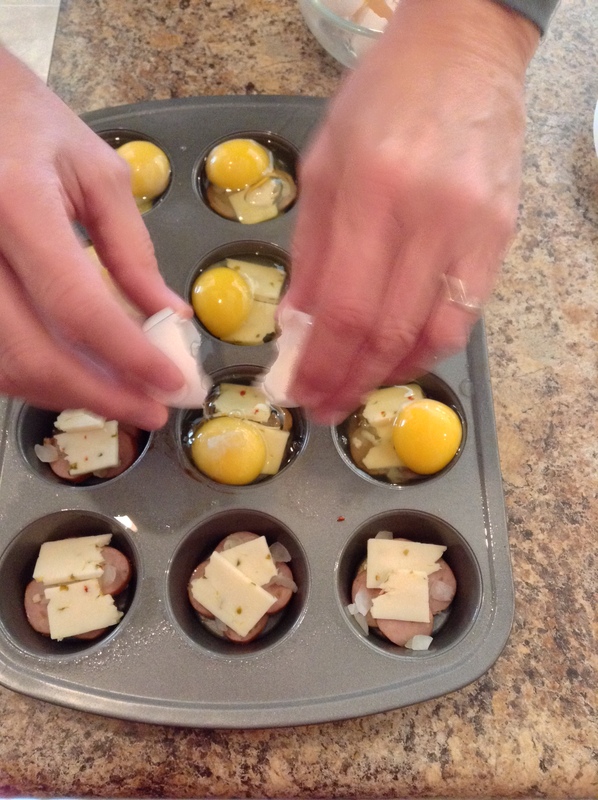 The key is not to overfill the tin with other ingredients so that there is no room for the egg. That is it! Pretty simple! The only prep work is to chop up some onion. 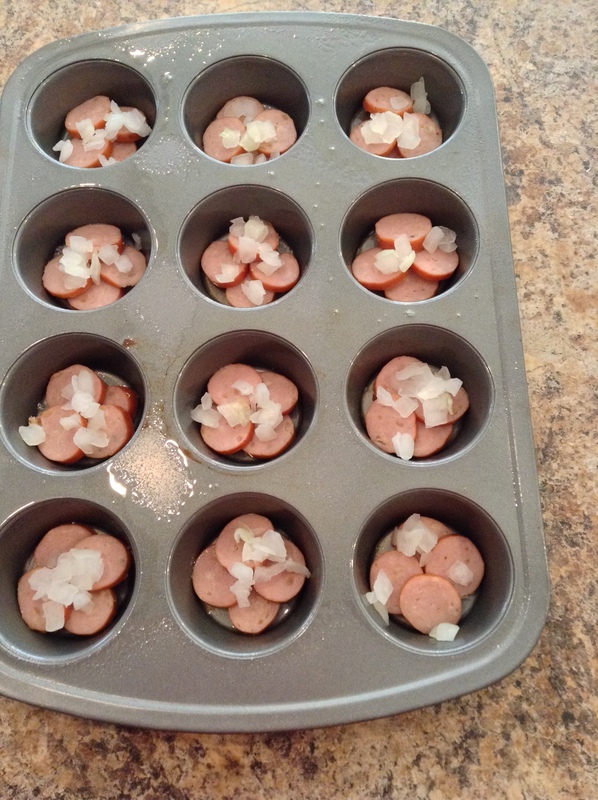 Now just a side note- if you use frozen chopped onions, be sure to thaw them and dry well with a paper towel or you will have a soggy mess and it will affect the consistency of the egg muffins. Be SURE to spray your muffin tin VERY well so that these do not stick. Now you are ready to bake! 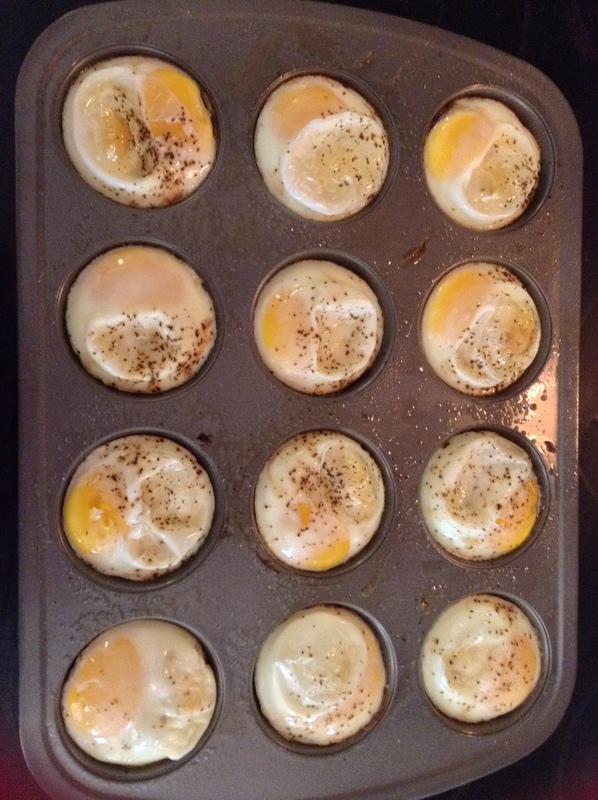 Bake these at 350 for 20-28 minutes depending on how firm you like the yolk. Here is the finished product. Take a knife and gently separate these from the tin before scooping out and they should pop out pretty easily if you used a lot of spray. Each of these is only 150 calories and has 13 grams of protein and less than a gram of carbs! Try experimenting with different fillings and enjoy!